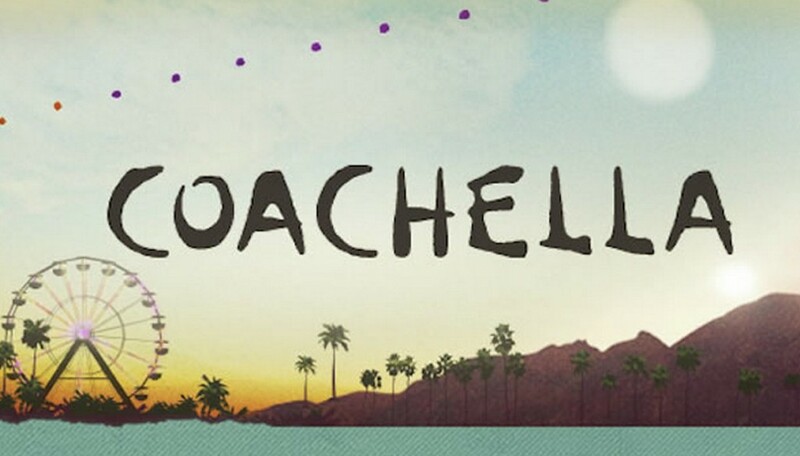 The Coachella Valley Music and Arts Festival has announced the lineup for its 2016 outing. The festival will take place over the course of two weekends in April at the Empire Polo Club in Indio, California. 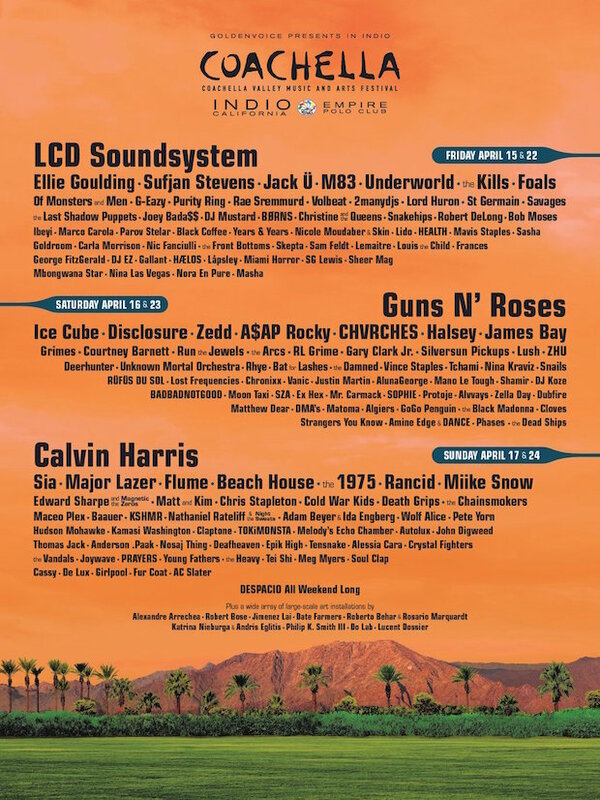 As previously reported, LCD Soundsystem and Guns N’ Roses will reunite to headline the Friday and Saturday lineups, respectively; Calvin Harris will headline the Sunday sets. LCD Soundsystem’s performance will be their first since their storied farewell show at Madison Square Garden in 2011. Guns N’ Roses has confirmed that guitarist Slash and bassist Duff McKagan will mark their returns to the band at Coachella, joining leader Axl Rose on stage for the first time since the late ’90s. The festival will also feature performances by several acts who released albums in 2015, including Foals, Ellie Goulding, Sufjan Stevens, Disclosure, CHVRCHES, Beach House, Courtney Barnett and Chris Stapleton. Additionally, artists who are slated to release albums in 2016, such as The 1975 and M83, are also high on the poster pecking order. The festival will feature the first American performance from recently reunited shoegazing band Lush since 1996. The Arctic Monkeys’ side project, The Last Shadow Puppets will also make their first concert appearance since the 2008 tour for their debut album The Age of the Understatement. Tickets for both weekends went on sale January 6 and have already sold out. Those who missed out on passes are in luck, as select sets will be streamed on YouTube throughout the first weekend. You can check out this year’s lineup poster and a Spotify playlist of the festival performers below. Next ArticleTV Review: The Expanse 1x05 “Back to the Butcher"